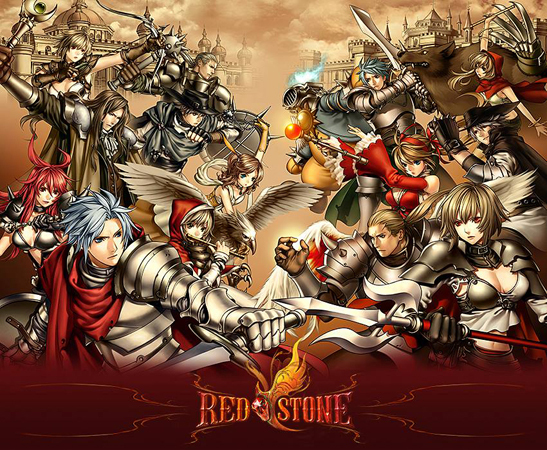 Red Stone, developed by L&K Logic Korea and released in 2004, has grown to be an extraordinarily successful title thanks to its classic graphics, involved storyline that develops throughout the game, unique character transformation system, high level cap (999 max level), and addictive Player vs. Environment and Player vs. Player action. With all those features combined, it has proven to be an exceptional game that's hard to beat. Red Stone stands out with its unmatched character transformation system. Players will have access to two classes with each character, and can switch between them at a moment's notice. Combine the transformation system with a fantastic storyline, thousands of items, huge zones, loads of monsters, and player vs. player fights, and you have the unique, fulfilling gaming experience that is Red Stone.